Yes, you read it right. Samsung, in the first time in history, is moving to a Chinese manufacturer to make their phones. 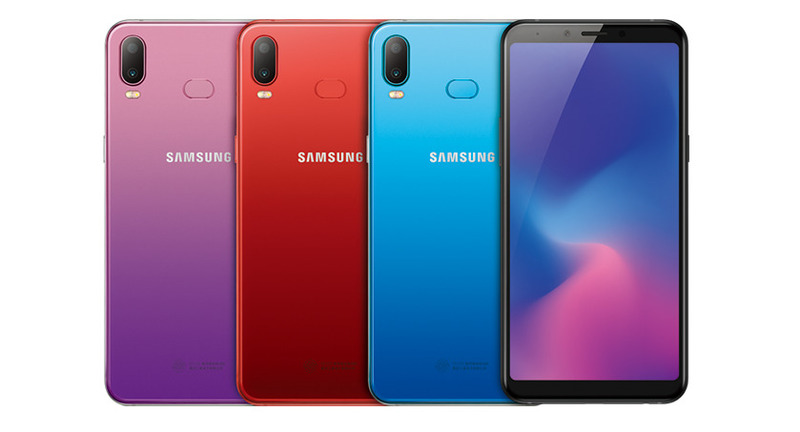 The Galaxy A6s will be the first phone in the history of Samsung which will be manufactured by Wingtech, the company which also makes the Xiaomi phones. All these are happening because of the competition in the mid-range segment in the Chinese market. According to some surveys, Samsung's share in the smartphone market of China had gone below 1% where the Chinese brands like Xiaomi, Huawei, Oppo, Vivo etc are ruling. Samsung has closed one of its two factories in China too. Samsung has launched some mid-range phones like J8 and On8 but the hardware was like budget phones. So Samsung finally decided to face the competition head-on and launch some good midrangers. And here's the surprise. This Samsung phone will compete most of the mid-range phones with its great specs and also right pricing. This Samsung smartphone will, for the first time, have a different look than other Samsung phones. It will have the vertically stacked dual cameras but not in typical Samsung style, but like the iPhone X style, at the upper left corner of the backside of the phone. This will be the biggest change from the brand. The fingerprint sensor position though will remain unchanged. The display will be same like J8 and On8, a 6" inch AMOLED panel, but this time with a Full HD resolution of 1080x2160 pixels. This gives the display an 18:9 aspect ratio with 402 PPI pixel density. Samsung still has the notch less design, which still makes it different from other brands. Here Samsung brings the greatest difference to remember, the 660. Samsung has powered the A6s by the most popular mid-range chip on its segment, the Qualcomm Snapdragon 660 on an impressive budget. Its Kryo cores and 14 nm FinFET technology makes it different from others. The Soc is clocked at 2.2 GHz which makes it one of the fastest processors of the segment. It also has the support of Adreno 512 GPU for the smooth and lag-free gaming experience. The OS will obviously be the TouchWiz used by Samsung based on Android 8.1 Oreo out of the box. Samsung has launched the A6s along with the A9s, which includes four cameras on the rear side. But the A6s is a genuine 2018 phone which comes with a dual rear camera setup. But the news is not clear yet at this time and we have many mouths saying different numbers for the camera department of the new Galaxy A6s. As far our knowledge concerns, the Samsung Galaxy A6s will feature a 12 MP main sensor with a f/1.8 aperture for brighter and clearer images along with a 5 MP depth sensor for portrait shots. In the front side, it will also have a 12 MP selfie shooter. But these numbers are not confirmed as this surely needs verification. So numbers may get better. This section is also going to be interesting as Samsung has introduced the 6 GB variant of the phone at a reliable price in China. It comes with two storage options that are the 64 GB and 128 GB options. And the pricing of the base variant in China is just 1799 Chinese Yuan that is almost 19,000/- INR. That's quite impressive from Samsung after such struggle in the sub 20k segment. Battery for the Samsung's mid-range phones remains between 3000 to 3500 mah mark. This phone is not an exception as the battery here will be a 3300 mah one and can run for one full day with the AMOLED screen. The other sensors and features will also be available like Wi-Fi 802.11 a/b/g/n/ac, dual-band, Wi-Fi Direct, hotspot, Bluetooth 5.0 with A-GPS, GLONASS, BDS, GALILEO and USB type C port. This is the one phone from Samsung which we can call the complete package and also on a reliable budget. After all the specs and pricing, we can say that this will be the super value for money smartphone from Samsung. The specs and pricing ratio of the device is quite impressive. If Samsung launches this one with balanced price in India like it did in China recently, many Samsung fans will be more than just happy. This phone from Samsung also will give tough competition to the rivals.